In “Hillary Orbits Venus,” a young Hillary Rodham pursues her childhood dream of becoming an astronaut, while in the Nebula Award–winning “Danny Goes to Mars,” former US vice president Dan Quayle embarks on the first expedition to Mars. “The Sleeping Serpent” reveals what might have happened if the Mongols had conquered all of Europe and then crossed the Atlantic to the New World, “Collectors” follows an American expatriate in France during a most unusual alien invasion, and “All Rights” offers a humorous look at a writer and a literary agent forced to negotiate deals in the multiverse. 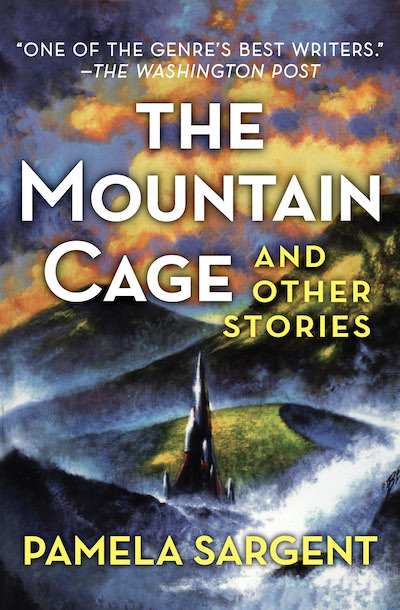 Whether satirizing the ambitions of a politician, exploring an alternate history, or delving into the consequences of immortality, there is no finer author of short science fiction than Pamela Sargent. This collection displays both her narrative strengths and her versatility.